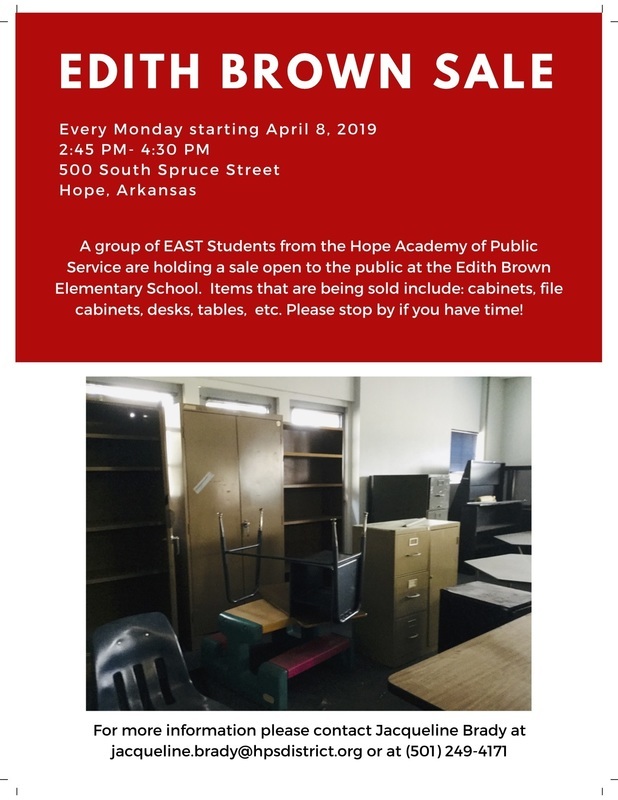 Students in the Hope Academy of Public Service EAST (Environmental and Spatial Technology) program will conduct the first in a series of sales today of surplus equipment and furnishings which have been in storage at the former Edith Brown Elementary School campus. The sale will begin at 2:45 p.m. at the Edith Brown campus, 500 S. Spruce St., and will continue until 4:30 p.m. 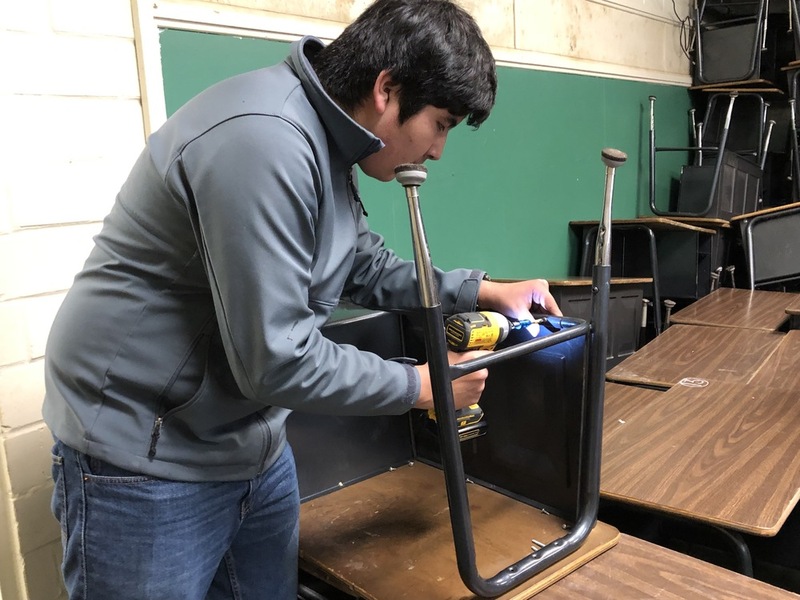 Similar sales are planned each Monday through the end of the semester.